The sciatic nerve is the longest nerve in your body. It runs from your pelvis, through the buttock, and down each leg to the foot. Its role is a vital one in that it connects the spinal cord with the leg and foot muscles. Any pain that radiates along the path of this nerve is known as sciatica. Sciatica is also called lumbar radiculopathy which is pain or numbness in the legs caused by the pinching of the sciatic nerve. The most common causes of this nerve compression include a lumbar herniated disc, spondylolisthesis, degenerative disc disease, or spinal stenosis. Pregnancy and muscle spasms in the back or buttocks can also cause sciatica nerve pain. Symptoms will be different based on which spinal nerve is affected and how much it is compressed. While symptoms can cause excessive pain, permanent tissue damage or spinal cord involvement is rare. In most cases, nonsurgical remedies are enough for people to find pain relief. For others, however, a more structured treatment approach, or surgery, may be the best option for alleviating severe pain. There is a broad range of non-surgical approaches available for sciatica treatment. Combining one or more of these treatments with exercise will increase the success rate of pain relief. Heat and/or ice. Heat or ice can alleviate pain, especially during the initial phase. Applying heat or ice for 20 minutes every two hours is recommended. The two may be alternated as needed. Pain medications. Over-the-counter or prescription medications can be effective in providing sciatica pain relief. Muscle relaxants or narcotic medications are sometimes also prescribed for short periods of time. Massage. Increase blood flow and relax muscles with a massage of the muscles in the lower back and/or glute. Epidural steroid injections. For more severe cases, epidural steroid injections are administered to reduce inflammation. The injection targets the affected area, which often provides more direct relief. This is a surgery used to treat lumbar spinal stenosis. Only a small portion of the bone or disc material that is pinching the nerve is removed and the rest remains intact. When a herniated disc is the cause of sciatica, a microdiscectomy may be an option. With this surgery a small incision is made to remove the portion of the herniated disc that is pinching the nerve. The rest of the disc is left intact. Chiropractic/manual manipulation. Health professionals, such as chiropractors and osteopathic physicians who are focused on providing better spinal column alignment, can be a benefit to underlying conditions related to sciatic nerve pain. Acupuncture. Fine needles are [painlessly] inserted into specific locations on the skin (near the area of pain) to open the flow of energy via specific pathways in the body. One theory is that this stimulation will trigger the release of chemicals that will alter pain levels or produce other changes that help people achieve or maintain well-being. Acupuncture has been recognized as an effective treatment in relieving back pain by the U.S. Food and Drug Administration (FDA) and the National Institutes of Health. While these treatments are common, they may not work for everyone and they may not relieve the underlying cause of the sciatic nerve being pinched. Exercise, not bed rest, is usually better for relieving sciatic pain. Inactivity exceeding more than a day or two after sciatic pain flares up can actually make the pain worse. Without exercise or movement, the back muscles and spinal structures aren’t able to provide as much support to the back. This deconditioning and weakening can lead to injury and strain, which can then create more pain. 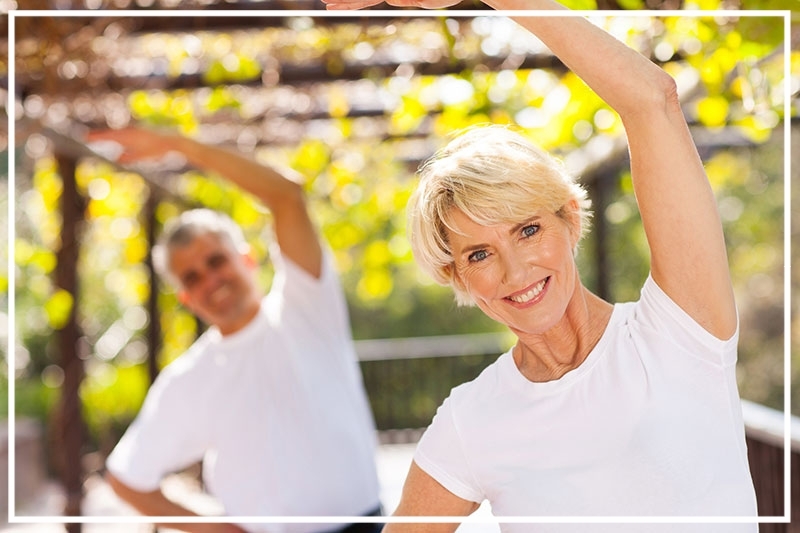 Exercise and movement also aid in improved spinal disc health. The movement helps exchange nutrients and fluids throughout the disc area, resulting in healthy discs and less pressure on the sciatic nerve. Core muscle strength is beneficial in providing adequate back support. Gentle strengthening and stretching exercises can help people recover quickly from sciatica flare up and reduce future episodes of pain. Doing the wrong type of exercise can worsen the pain, so it is important to get an accurate diagnosis before starting an exercise program. REQUEST AN APPOINTMENT TODAY AT OUR OFFICE IN THE WOODLANDS, TEXAS.